This post has been sponsored by KidzVuz on behalf of Juicy Juice. The activity and opinions are 100% my own. Normally we are a water, wine and coffee household – meaning those are the beverages of choice we have on hand. We make fresh smoothies and juice our own fruits and veggies. 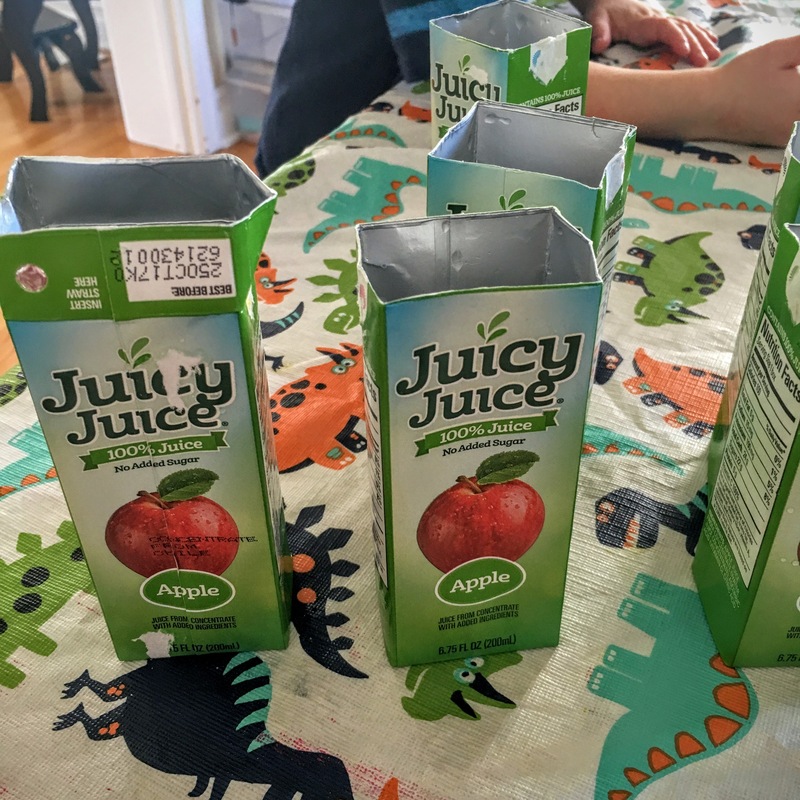 However, since it has been insanely HOT lately, and our toddler has an affinity for running around non-stop and refusing to drink water, we keep some healthy juice boxes on hand for particularly hot and sweaty days to make sure he stays hydrated. I love making fresh juice in our juicer at home, but when out and about on a hot day, I try and find healthier options like Juicy Juice. 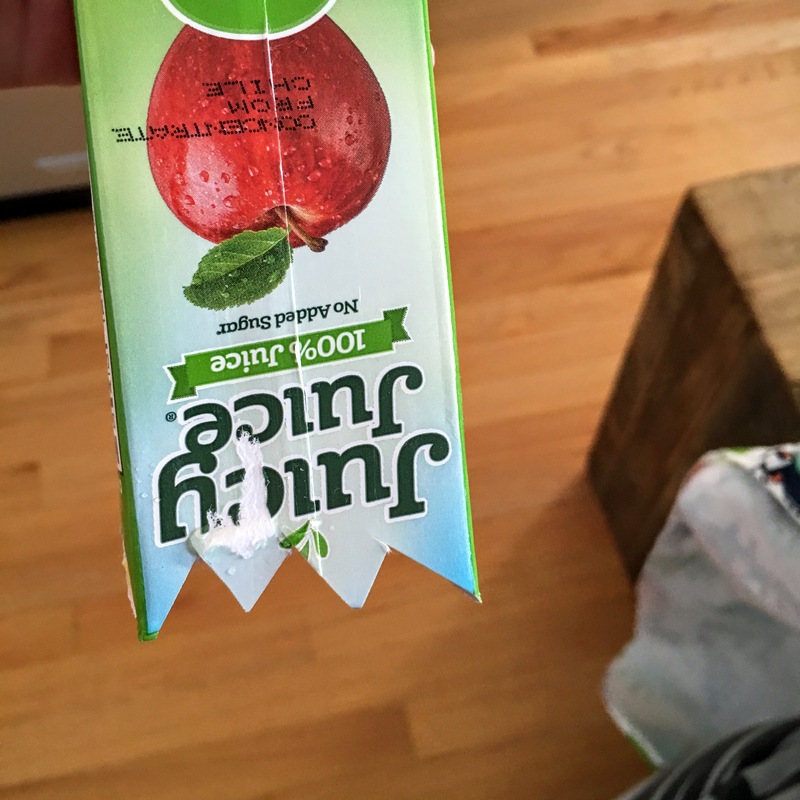 It’s 100% juice, there are no added sugars and one little box gets sucked down in seconds hydrating my active little dude and giving him the equivalent of a serving of fruit. We had a couple of used juice boxes around after hot days at pumpkin patches, park playdates and birthday parties. I thought why not recycle them into a fun, simple Halloween themed craft. We decided to make a ghost “banner” decoration for the house. My son was adamant that they be ‘happy’ ghosts. So of course, we made them very happy friendly ghosts. 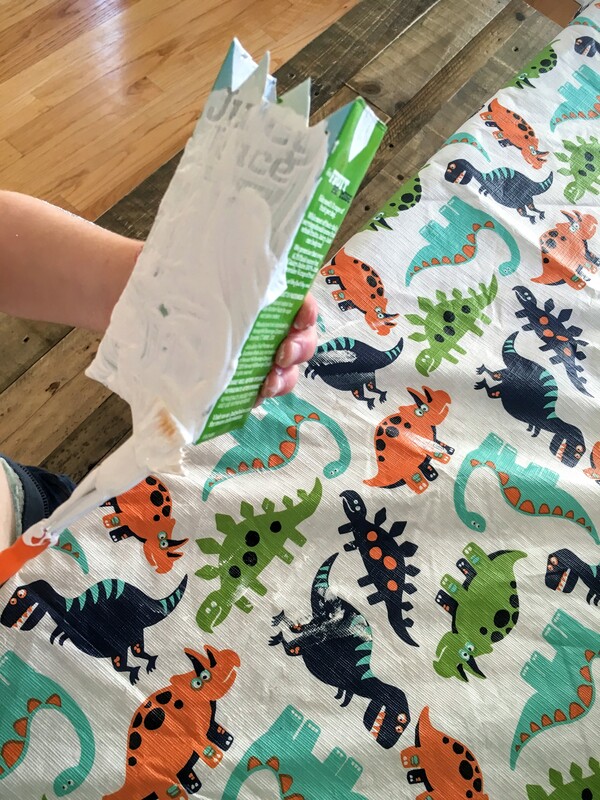 I love this craft because you only have to use ONE color of paint (which with a toddler makes painting far less stressful). 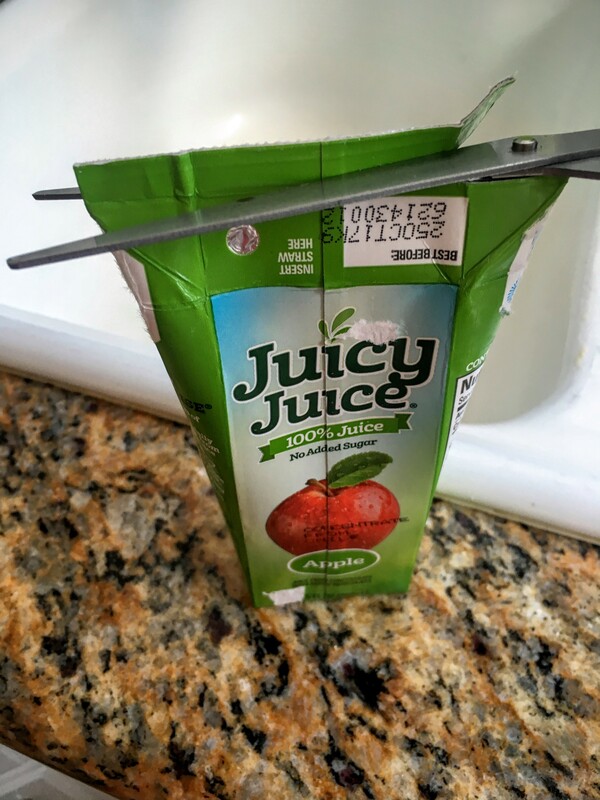 Cut the top of the juice boxes off. Rinse out the Juice boxes and let dry. Paint all four sides white. It may take two coats to do this. 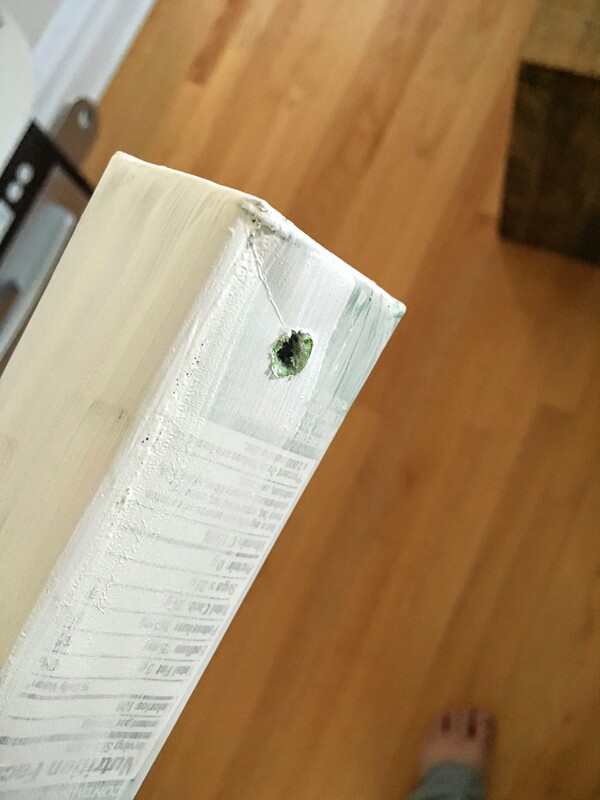 Make sure the bottom coat dries completely or it will peel off as you paint the top coat on. I let my toddler put the paint on first and then I smoothed his work out so it wasn’t a clumpy mess! 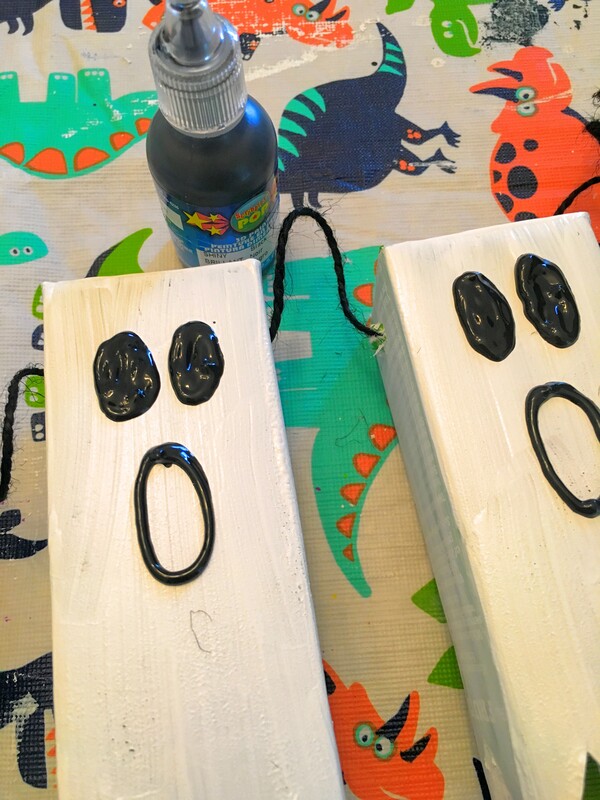 Once the paint has dried, use puffy paint to make two oval eyes and an open oval mouth on each ghost. 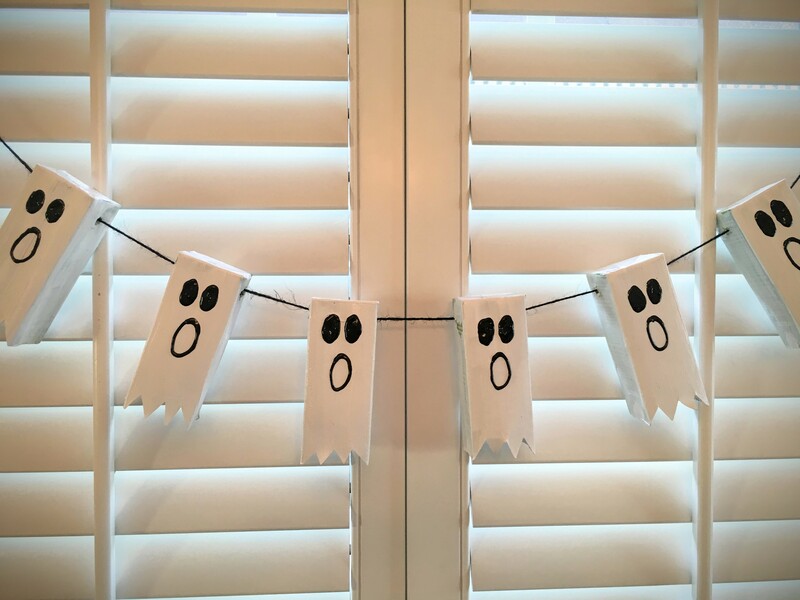 Once dry, thread the black string through each ghost and hang anywhere you want to add a little fun & not-so-spooky Halloween cheer! Halloween Tradition: Boo it Forward!